New home and subdivision by Airhart Construction. Stafford Place is located in the heart of Warrenville with it&apos;s small town warmth. Walk to the library, Prairie Path, Park district recreation center and more. 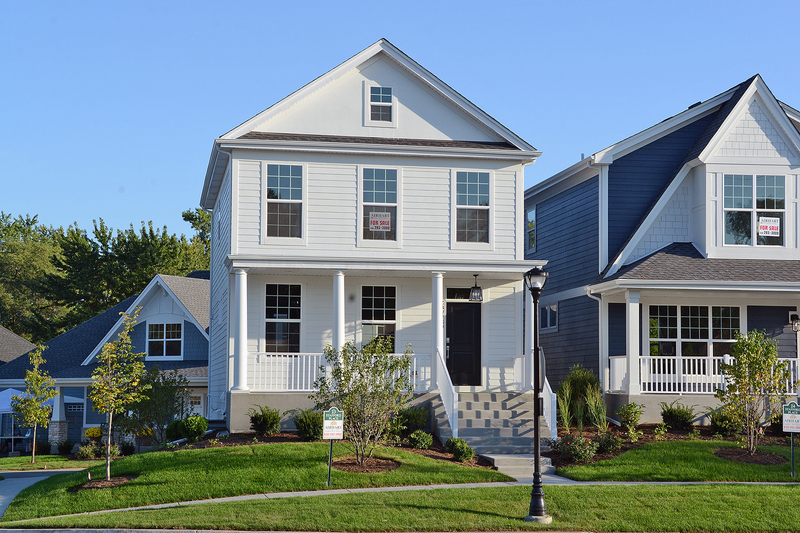 Stafford Place offers a townhouse life-style with out attached walls. HOA provides landscape maintenance and snow shoveling. This open floor plan offers many amenities including wood floors, Custom kitchen with granite tops, stainless steel appliances, tile backsplash and under cabinet lighting, fireplace, rear balcony, luxury bath with walk-in shower, second floor laundry, walk-in closet, Pella low-e windows, GAF architectural grade shingles, Hardieplank siding, 95% high efficiency furnace and A/C, Energy seal, Nu-Wool insulation, energy rating, Connected home package, Deluxe landscaping and much more.